Organic produce is hard to come by in Beirut. Even in the humblest of vegetable shops, the items resemble members of the local bodybuilding community, swollen and pumped full of steroids. So the sight of some grubby, stunted, purple carrots in the Souk el Tayeb farmers market stops me in my tracks — and, if the benefits of organic food are beginning to be felt in Beirut, then Qi Juices is one company spreading the news. It’s early morning on a busy Saturday, and the juices at the company’s understated stall, derived from certified organic farms throughout Lebanon, are all but sold out, as cofounder Hana Alireza pours me a capful of “Morning Greens.” Eyeing the fennel based vegetable juice suspiciously, I note that it shares its color and consistency with stagnant pond water — so my first sip is cautious. 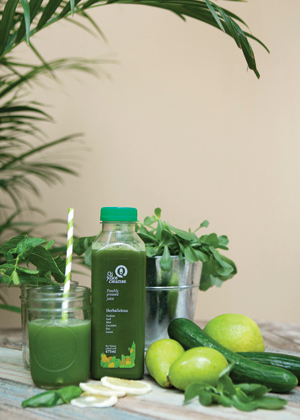 Founded by Leila Fakih Nashabe and Hana Alireza in 2013, Qi’s first offering to the Lebanese public was the “juice cleanse,” Beirut’s nod to the frenzy of kale and bikram yoga worship sweeping gentrified corners of the globe. This cleanse is a three day regimen, during which customers consume six 450g bottles of different, organically prepared, cold pressed juices (beetroot, kale, carrot, cucumber, ginger, spinach, parsley, etc.) per day. The juices are drunk at two hour intervals with water or green tea in between, and that’s it. No food. 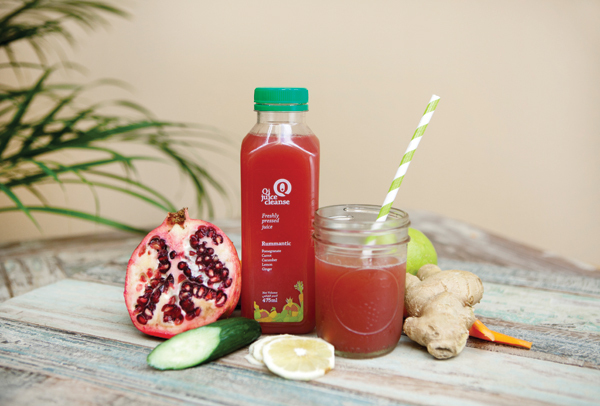 A daunting prospect, three days without one square meal (not to mention the $195 price tag), yet the juice cleanses took off and ran, and Qi expanded. 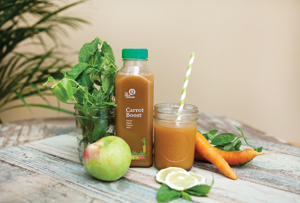 Their products are now available in select stores throughout the city, and at their recently opened juice bar in G Spa, a high end gym and wellness center on Independence Street, between Sodeco and Sassine. As I can attest, cleansing one’s body can be an intimate and challenging undertaking, and Qi’s strategy is to be highly supportive all the way. Daily emails to the converted carry “funny, light, motivational, and inspirational” messages, plus the encouragement to call anytime “just to talk.” According to Alireza, this — sometimes overly — personal relationship with their consumer base has allowed Qi to grow “organically.” Close is comfortable. 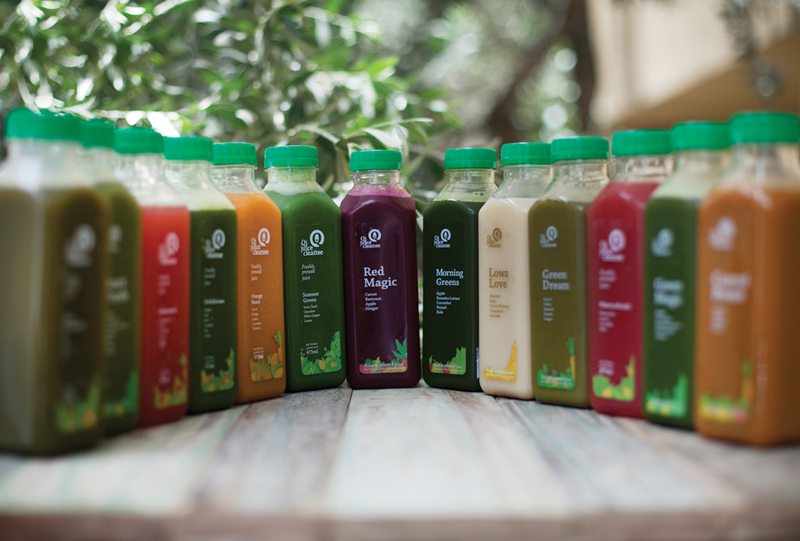 Qi is uniquely placed in Lebanon as the only officially organic juice brand that’s approved by the Mediterranean Institute of Certification. All ingredients are pesticide free and delivered straight from the farm to the ‘Qitchen.’ Choice is seasonal, so Swiss chard, spinach and beetroot disappear with winter, and juices are adjusted accordingly. Herbs such as mint, parsley and coriander grow locally all year round, and are juiced, bottled with a seasonal fruit, and served as “Herbalicious,” Qi’s summer flavor. The preservative free method of juice pressing gives it a shelf life of just three days. According to Alireza, this is the major problem they face in terms of expansion. The juices must meet demand precisely, or gallons and dollars go down the drain. Thus your fruit and veg fix is delivered, wherever you are, by a scooter with a cooler, like some futuristic designer drug. Sitting in the new Qi Juices bar in G Spa, I’m downing a “Maca Love to Me” smoothie that was whizzed up in front of me. 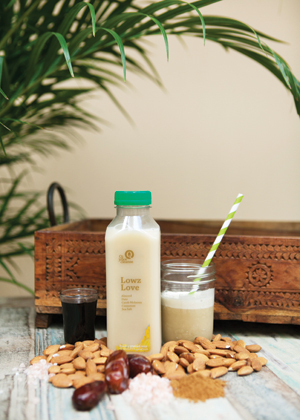 Styled in the brochure as a “perfect meal replacement or post exercise,” it contains coconut water, banana, walnuts, figs and maca powder, an esoteric life giving herb native to the Peruvian Andes. I am told this drink will, among other things, boost my libido. It’s delicious, though beige and gloopy, with a crunchy, chewy texture from the walnuts and figs. While the drink is surprisingly not filling and there’s no noticeable boost to my libido as I observe a group of middle aged women performing water aerobics, the juice is undeniably invigorating. Hana insists “it’s about getting people to think about what they put into their body.” And while I’m not quite ready to swap my caffeine hit for a mug of parsley juice, I will gladly reject the smooth contours of pumped up veg stalls for the unsightly treasures in this world of organics. We are what we eat, are we not?